BASF’s Construction Chemicals division, Master Builders Solutions, is offering a RIBA-approved Continuing Professional Development (CPD) course, covering all aspects of watertight concrete solutions in accordance with BS8102:2009, the code of practice for protection of below ground structures against water from the ground. Architects and engineers who receive the CPD will gain an understanding of the British Standards and guidelines that need to be adhered to when building structures below ground, as well as the different types of waterproofing products currently available in the market, the constituents that make up watertight concrete and the role of admixtures. 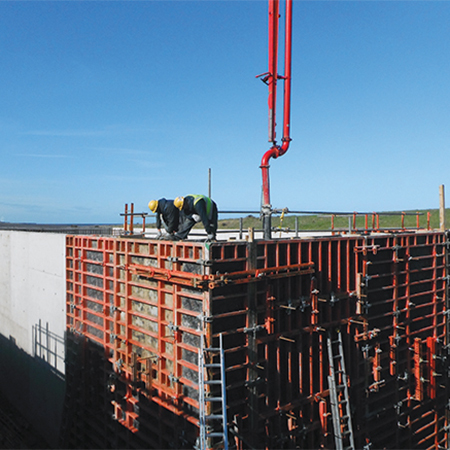 The CPD is recommended for anyone directly responsible for specifying waterproofing solutions for structures below ground, including architects, architectural technicians and structural and civil engineers. The session can be presented at architects’ and engineers’ practices and to local groups by prior arrangement.